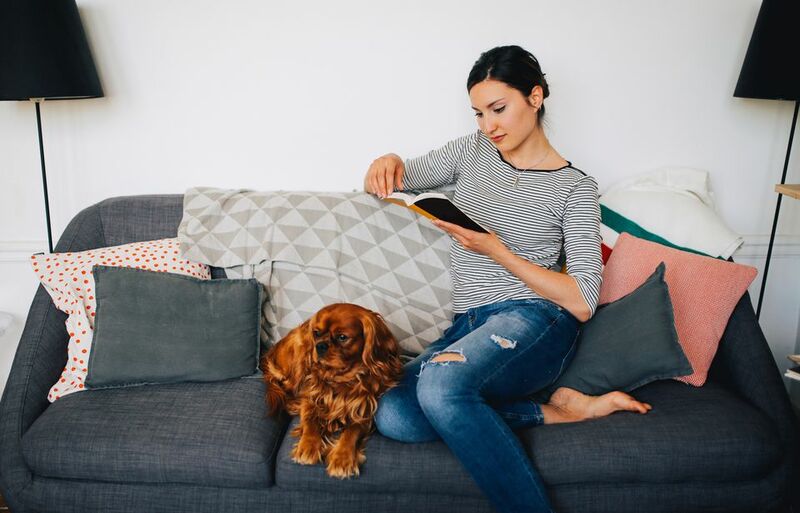 What kinds of dogs are best for apartment living? Which dogs do well in small condos? If you live in an apartment or condo, you may think you have to give up your dream of having a dog. However, you'll be glad to learn that many dogs can thrive in apartments and other small spaces. If you live in an apartment and you want to get a dog, first make sure your lease or homeowners association rules allow dogs to live on the property. Are there fees and can you afford them? Does the lease or HOA state restrictions like weight limits or breed exclusions? You will also need to consider your lifestyle and the environment where you live. Are you ready to take on the added responsibility of a dog? Your dog will need access to "go potty" at least two to three times a day. Is there an area where you can walk your dog to do his business? Your dog will also need exercise. Is there a local park to take your dog to play? Is the neighborhood pedestrian-friendly? Are you willing to give your dog the exercise he needs? Size is the first thing most people think about. Although many assume that only small dogs belong in apartments, the fact is that dogs of nearly any size can do well in a smaller space. In fact, some small dogs are poorly suited to apartment living for various reasons. However, it may be awkward to have a giant dog in a very small space. You'll need to be able to fit an appropriately-sized dog bed and crate in the apartment. Your dog will need enough space to walk around the home without destroying things with his tail (and his girth in general). Activity level is an important factor to consider. An extremely high-energy dog will be unhappy in a small apartment without a yard unless you are able to provide a lot of exercise and stimulation outside the apartment each day. These active dogs may resort to destruction if left alone without something to do all day. This doesn't mean you can get a lower energy dog and you're off the hook. All dogs need exercise. ​In addition, all dogs need training. And, of course, all dogs benefit from games and other interaction to maintain the bond you share. Vocalization is a point some people overlook. A dog that barks, howls, or whines excessively could get you in trouble with your neighbors, building management, and even the police. In an apartment complex where lots of people come and go, most dogs will instinctively bark. However, it's important the dog gets used to the normal sounds of the complex and learns not to react. This can be accomplished with training and behavior management. Avoid keeping a very vocal dog in an apartment. Dog breeds known to bark, whine, or howl excessively are not ideal for apartment dwellers. However, if you are willing to dedicate a lot of extra time on training and behavior modification, it may work. Of course, each dog is an individual and may not take on the typical traits of its breed. It's important to understand that dog breed alone cannot guarantee whether or not a dog will thrive in an apartment. However, the breed can be a fairly good indicator of what to expect. In addition, mixed breed dogs can do quite well in apartments if they have the right qualities. There are certain traits generally associated with some breeds that make them good for apartment life. The following list is certainly not complete. There are tons of dogs that can really thrive in apartments. However, these dog breeds are popular and especially suited to apartment living. The medium-to-large Basset is typically an easygoing, low-key dog. 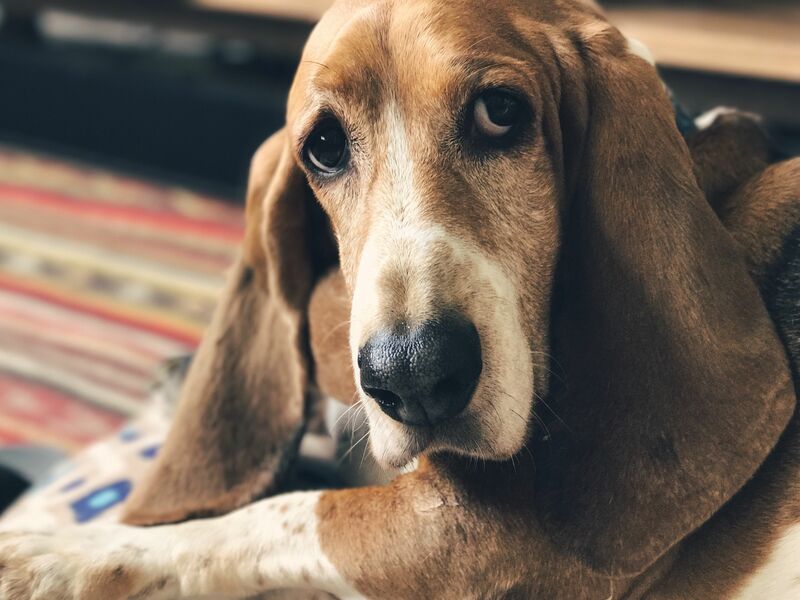 Although most hounds are known to "bay," or howl, most Bassets bay less than the average hound (and usually only in response to another dog baying or a similar loud noise, like a siren. The Basset is moderately energetic but tends to get less active with age. Most will enjoy a nice daily walk but don't need a ton of exercise. Your Basset will probably prefer to loaf around the apartment with you, especially as he matures. This friendly, playful little dog is a favorite among small-dog enthusiasts. The Bichon is a loyal and happy dog with a medium energy level. Although many small dogs are known to be "yippy" barkers, the Bichon tends to fall on the lower end of the spectrum. You will love the way your joyful Bichon runs to greet you when you come home to your apartment. Daily play sessions and walks should be enough to fulfill your Bichon's exercise needs. You may be surprised to see the Bulldog on this list, but the breed is actually well-suited to apartment living. This dog is medium in size and generally a quiet dog with a moderate level of energy. Regular exercise is necessary and beneficial, but the breed has a pretty low tolerance for exercise. A daily walk or two and some games are usually just enough. Your Bulldog will be a loyal and jovial companion who will probably want to share the bed with you. Just make sure you don't mind some snoring. It shouldn't be enough to annoy your neighbors, but it might bug you if you're a light sleeper! This affectionate, adorable breed is an excellent dog for apartment living. The Cavalier is upbeat and jovial, yet calm and gentle. This small to medium breed is generally quiet but happy. The Cavalier is moderately energetic and will benefit from daily walks and games and won't need much more than your companionship. One of the most loved features of the Cavalier is the way they seem to look like puppies forever. You and your loyal Cavalier will develop a close bond. You'll really enjoy coming home to snuggle on the couch with your best canine friend. The Chihuahua is one of the world's most popular small dogs. This breed packs a whole lot of personality into a tiny frame. The breed has a medium to high energy level, but its little size means that a small apartment is more than enough space. Daily walks and games are important in order to keep your Chihuahua happy and healthy. You should know that some Chihuahuas can be a bit on the "barky" side when they hear potential intruders. Training can help with this. However, once you bond with your Chihuahua, you'll have a loyal friend for life. Though best known as a contender for the infamous "Ugliest Dog" competition, the Chinese Crested is a beautiful dog (especially on the inside). This breed is alert and affectionate, enjoying spending time with its family. Its small size, quiet demeanor, and medium energy level make the breed another great one for apartments. You will enjoy showing off the unique appearance of your Chinese Crested as you walk around the apartment or condo complex. Your Crested will likely enjoy all the attention too! This one might seem the most surprising to make the list. After all, Greyhounds are known as large racing dogs. However, the Greyhound is a couch potato at heart. Though this breed does enjoy a good run, there is not enough endurance in the Greyhound to need more than daily walks. If you adopt a Greyhound straight from the racing life, there will definitely be an adjustment period. Racers are not used to living in a home. Some can be afraid of stairs or even prone to walk through windows thinking they are open. Greyhounds from foster programs are usually ready to live in an apartment or small home. Either way, once your Greyhound gets to know you and trusts you, you will have a true companion. Playful yet gentle, the Maltese is a delight. Like the Bichon, this breed is another favorite small dog that does very well in apartments. Its medium energy level requires only basic daily exercise. In addition, the breed is less likely to be vocal compared to many other small dogs. Your Maltese will enjoy the sweet life as your beloved lap dog. You will enjoy the affection and loyalty this sweet little dog provides. It's no surprise that miniature and toy Poodles do well in apartments, but dod you know that the larger standard Poodle is also a great apartment dog? There isn't much the Poodle can't do, no matter the size. These dogs are highly intelligent, loyal, and noble. They typically have moderate energy levels, but some tend towards the more active side of the range. Fortunately, Poodles are disciplined and obedient with proper training. You might just need to provide a little extra exercise to keep your Poodle happy. You will come to learn that the Poodle is adaptable and steadfast. He will learn your routine and follow your lead. The Shih Tzu might be the winner of all apartment dogs. This is, in part, because it is one of the most popular small dog breeds around. However, the Shih Tzu is ideal also because of its demeanor. This is a happy, affectionate and playful little dog that needs no more than basic daily exercise and general training. You and your Shih Tzu just might become inseparable. This is the best friend that you'll want to take everywhere you go. When you can take him along, he is likely to happily relax at home awaiting your return. Then, he will delightfully greet you upon your return and curl up in your lap.